Dave Seaman. Discography. Music. Albums. Tracks. Dave Seaman is a British dance music DJ and record producer. 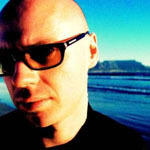 He was formerly a member of the DMC Publishing, and editor of music magazine MixMag. He formed one half of Brothers In Rhythm with Steve Anderson, doing production work for - amongst others - U2, David Bowie, Pet Shop Boys (Go West and DJ Culture) and Kylie Minogue (Confide In Me). He has since founded Audio Therapy - part-dance collective, part-record label. He is also well-known for his releases in the famed Global Underground and Renaissance series. He was there at the beginning of the British dance music revolution and he's still one of its leading proponents today, his contagious enthusiasm unabated despite this glittering career. Seaman is unique among leading DJ's for his versatility: his ability to work within different genres without compromising his distinct musical identity. Today Dave Seaman is more energized than ever - because he recognizes that British dance music, having gone back to its underground roots after a period of upheaval, is entering a renaissance. Outside of the mainstream, away from the UK's transient pop-culture fashions, cool new scenes are forming in cities all over the UK. "We're entering a new phase. Dance music in the UK needed to implode - the great house detox," Seaman says. "We shed all the dead wood and hangers on. I feel like I'm starting again almost. It's very exciting." "It's about having fun, but understanding that the music has got depth as an art form. Finding that balance. I try to put that ethos into the records that we make and into the DJ'ing that I do," he says, "trying to give dance music an identity beyond the underground." This instinctive understanding of what clubbing is really about means Dave Seaman is perfectly placed to enjoy dance music's creative revival.